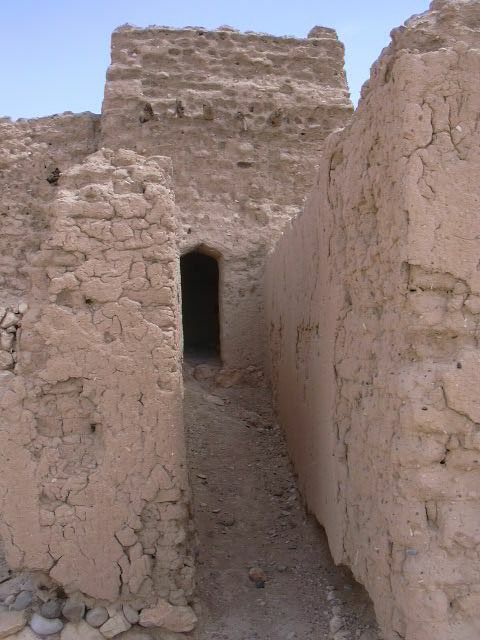 While returning from the Nizwa weekend, I stopped off in Ibri for a quick tour of the old walled city and fort of Sulaif. 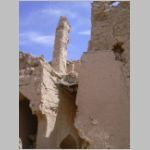 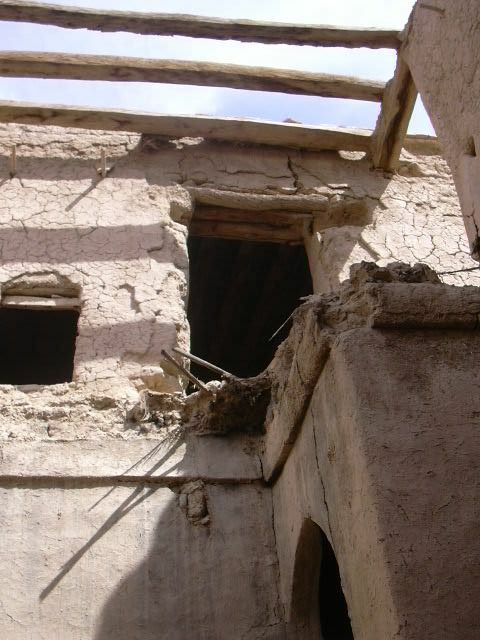 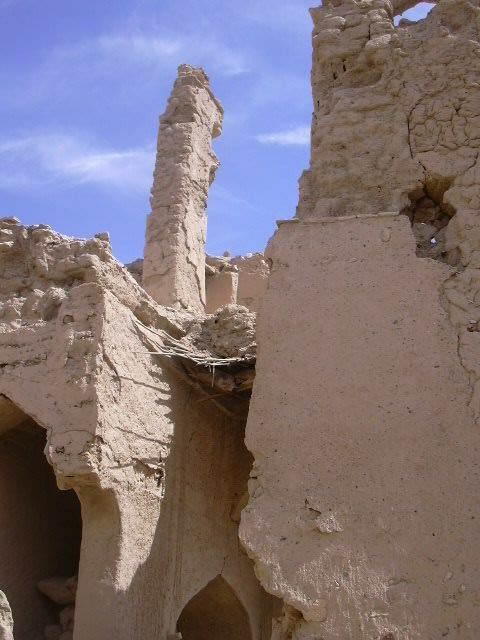 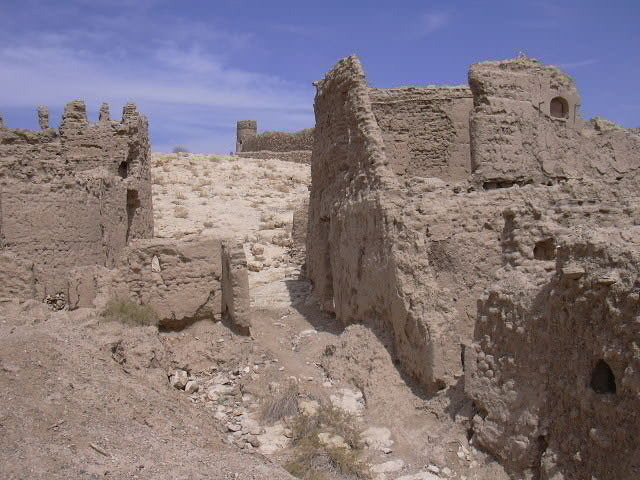 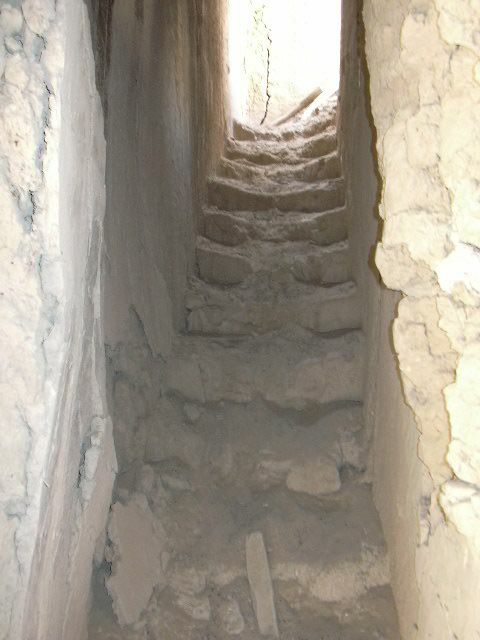 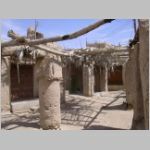 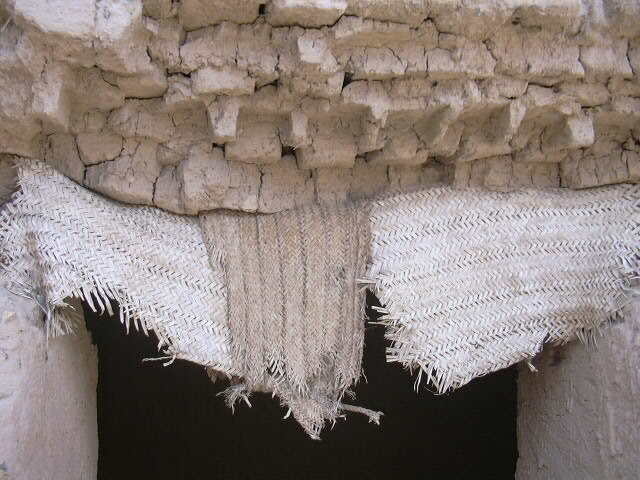 There are a number of mudbrick buildings in and around modern Ibri, close to the wadi that cuts through the buildings, farms and gardens of the city. 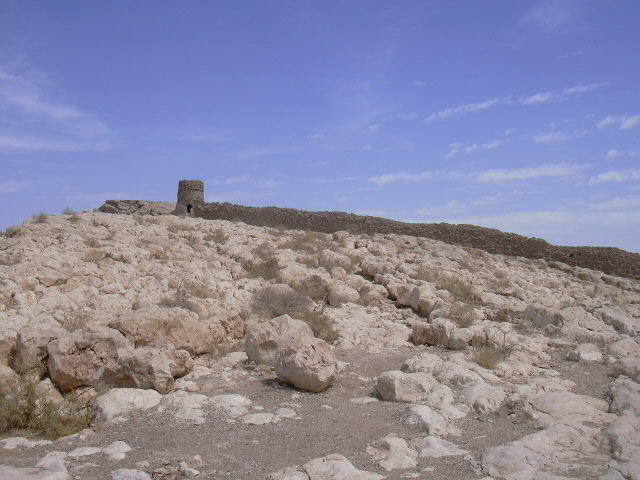 Approaching Ibri from Nizwa, the gap in the mountain ridge is obvious from a considerable distance, and the upper lookout tower of the old walled city/fort clearly visible against the skyline. 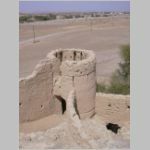 Observers posted in the tower would have had little difficulty spotting anyone approaching from the direction of Nizwa. 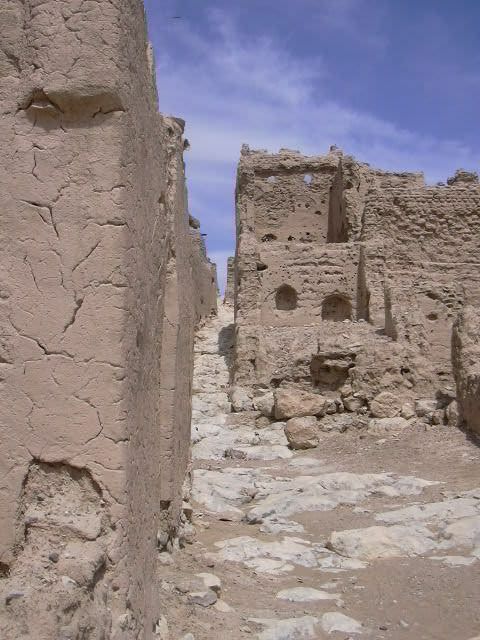 Sulaif is built on a sloping exposure of very uneven rock so the main streets run vertically up and down the slope. 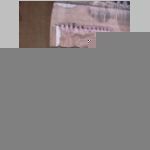 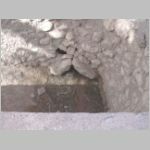 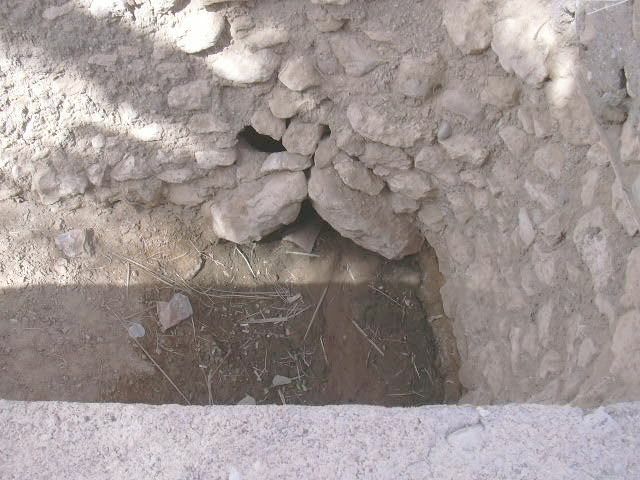 The water was eventually directed to a deep channel that is still evident in the entranceway. 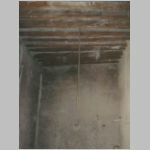 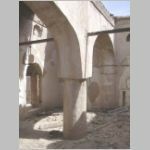 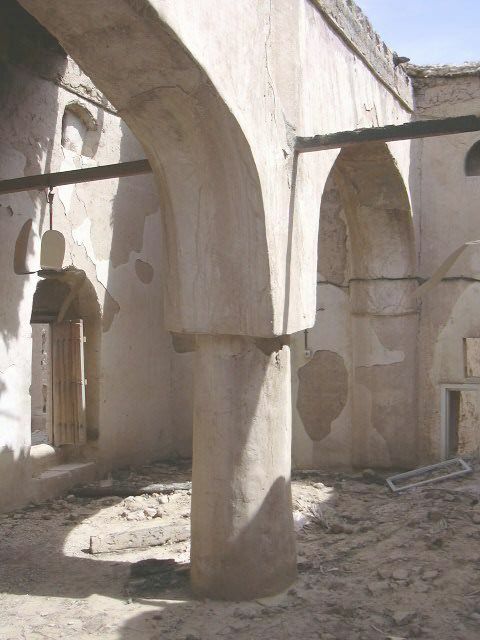 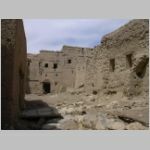 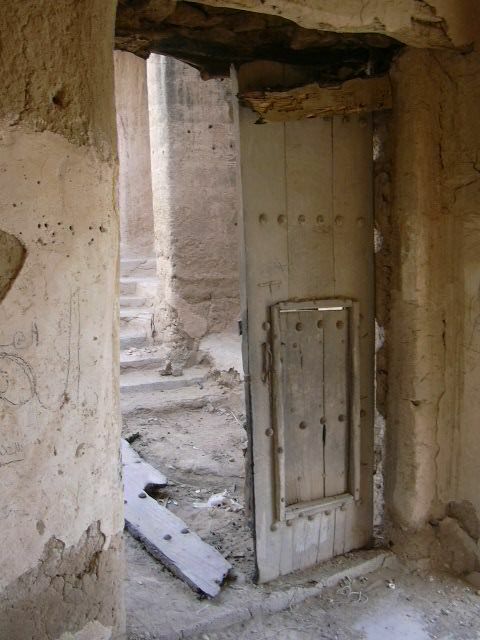 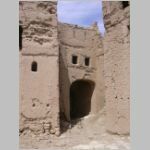 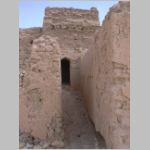 The entranceway, with one of the original huge wooden doors still in place, was located behind a small room with doors on either side, one door leading to the souq, the other to the underground falaj system. 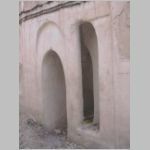 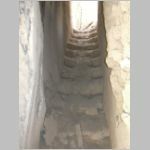 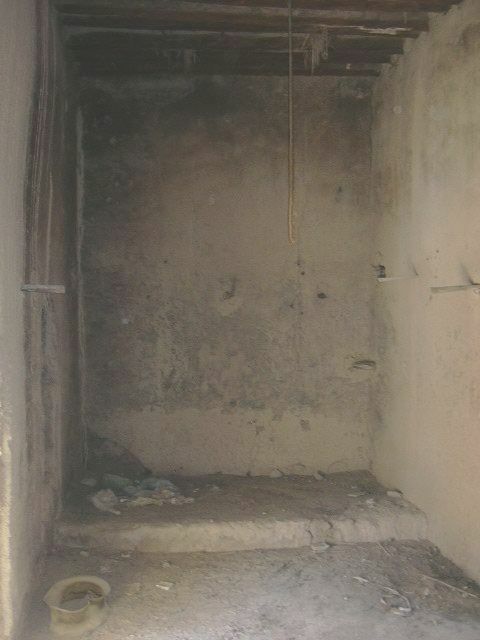 The latter door leads to a set of stairs down to the place where worshippers could bathe before going to mosque, the mosque located immediately inside the entranceway. 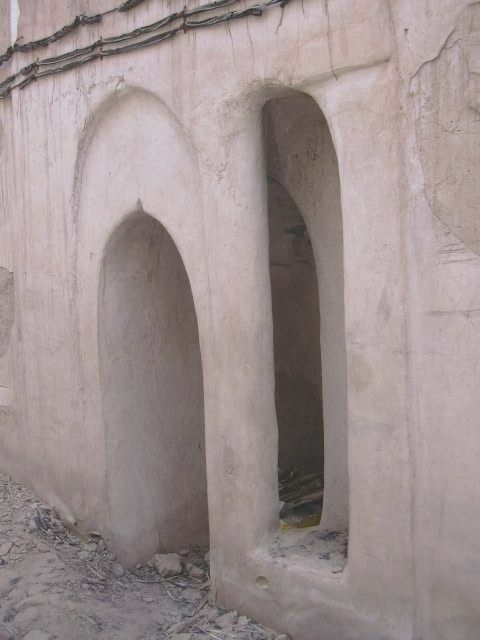 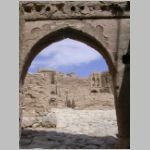 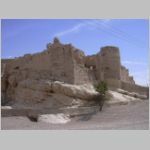 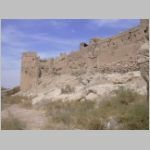 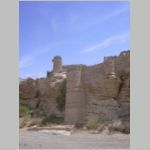 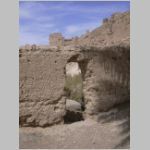 The souq and three access holes are located inside a wall that extends beyond the taller, fortified wall of Sulaif proper. 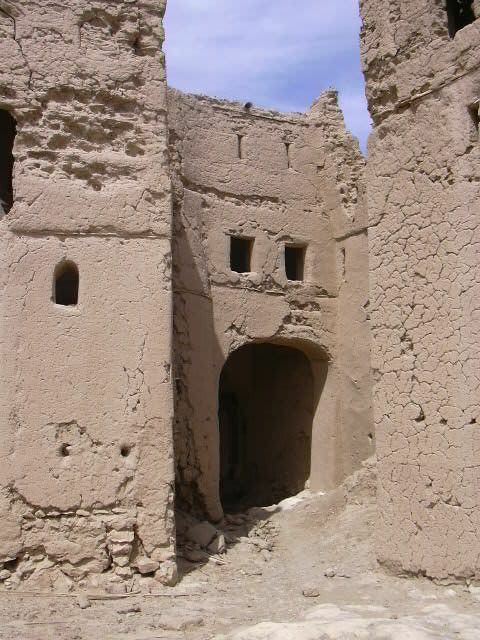 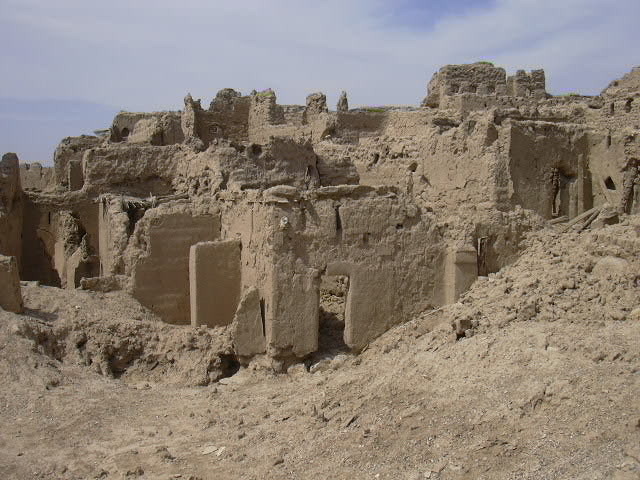 The buildings inside the main wall appear to constructed with a stone foundation on which mudbrick buildings were constructed, most of two storeys. 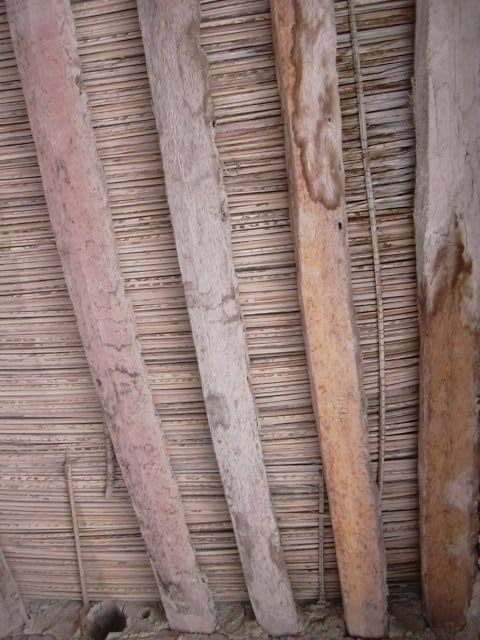 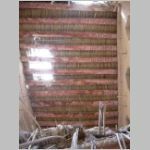 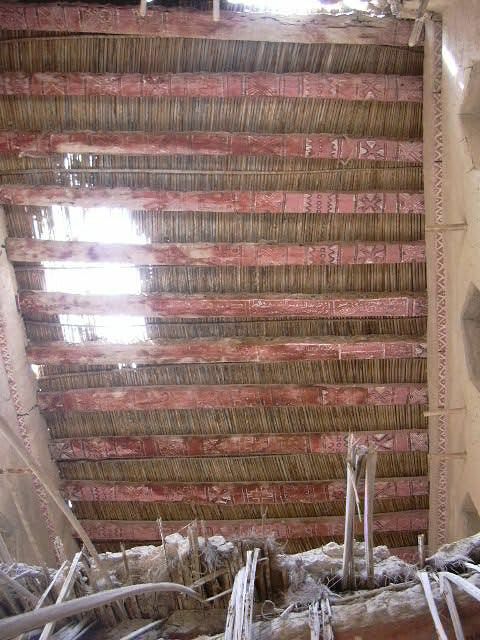 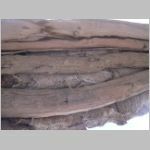 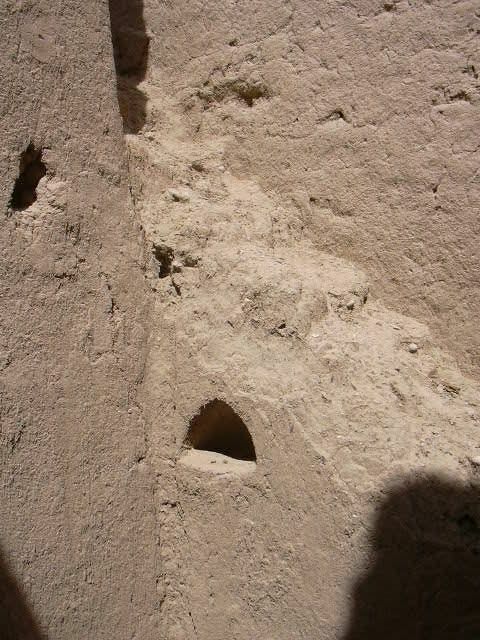 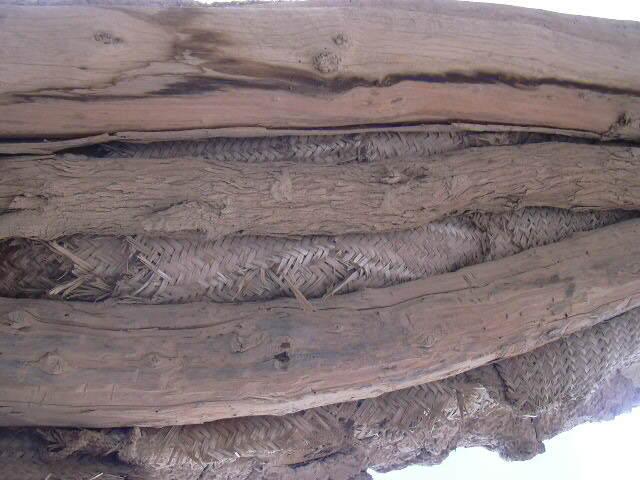 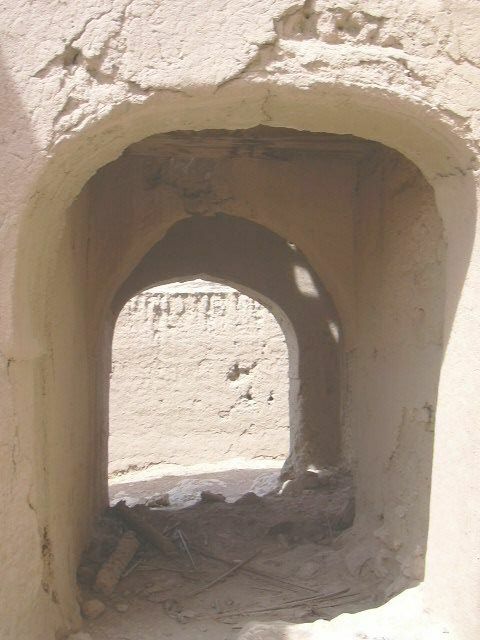 The mudbrick walls were then covered with fine mud plaster. 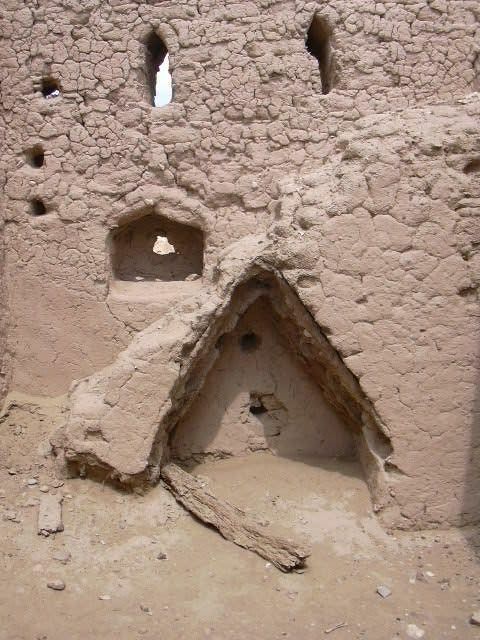 The decoration and construction suggests a relatively wealthy population. 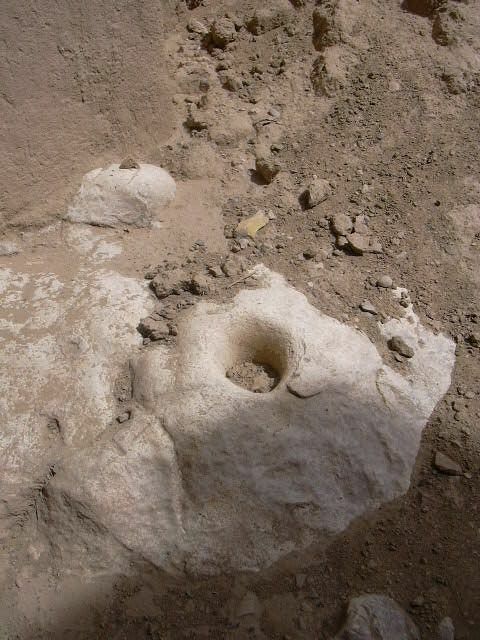 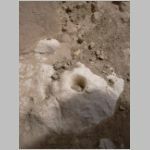 Inside the entrance to many of the houses, a mortar was visible in the bedrock, evidence of the custom of preparing and serving fresh coffee to visitors. 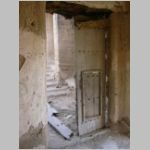 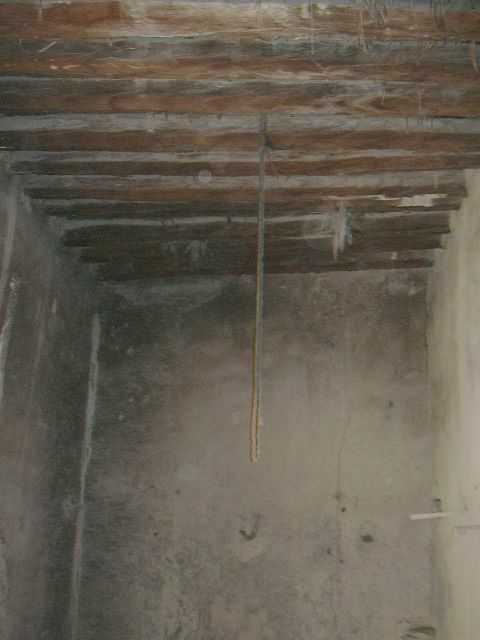 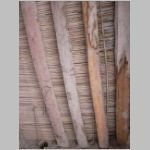 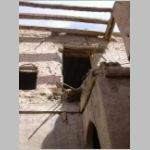 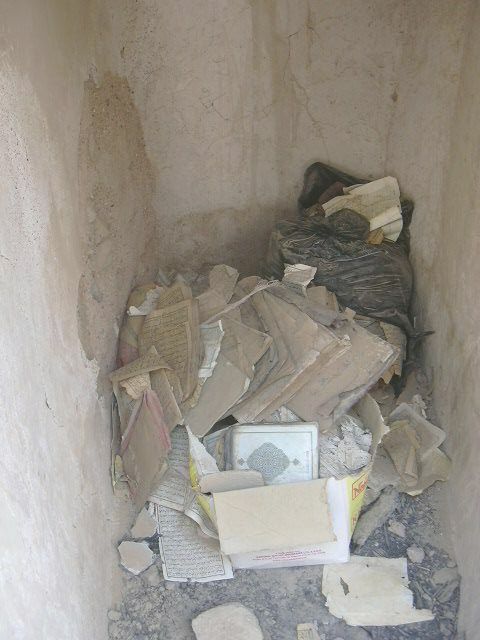 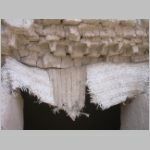 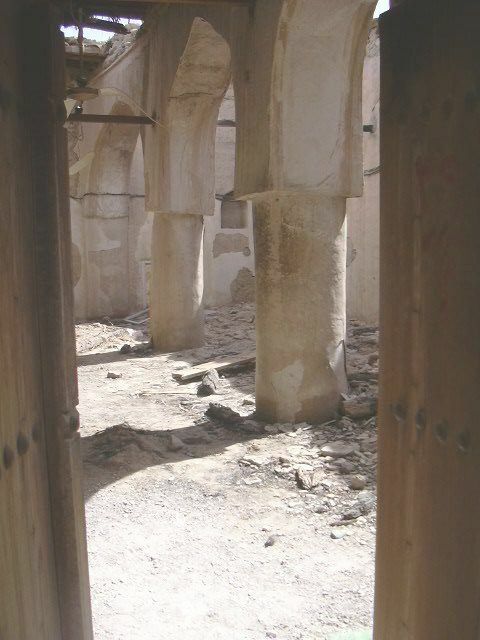 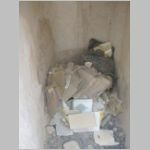 In the souq area, the doors to several of the shops were locked and the condition suggests the shops were in use until a few years ago. 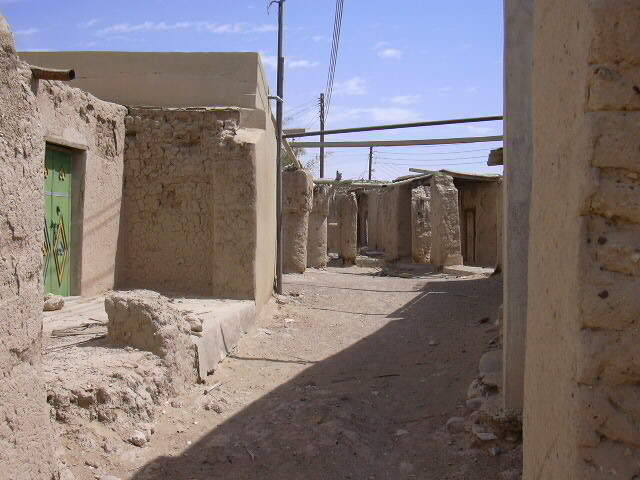 The shops looked as though they had been in use more recently than, for example, the covered souq at Hamra. 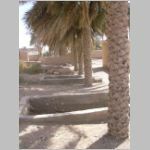 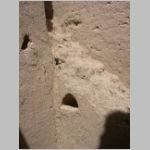 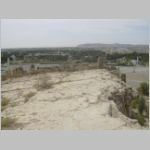 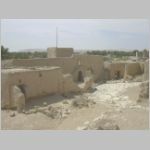 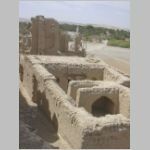 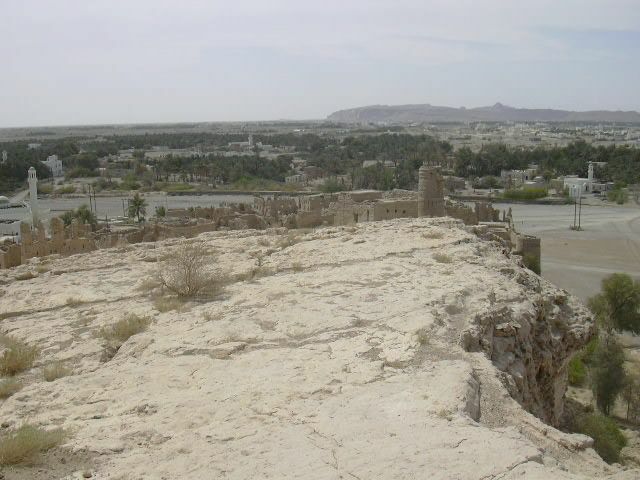 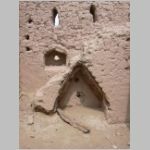 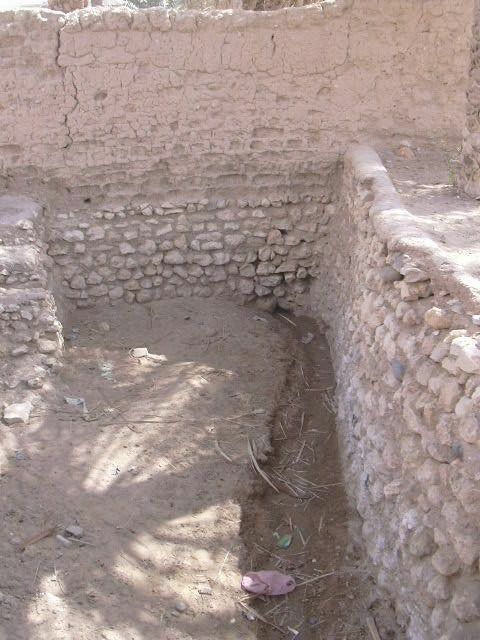 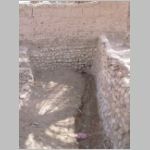 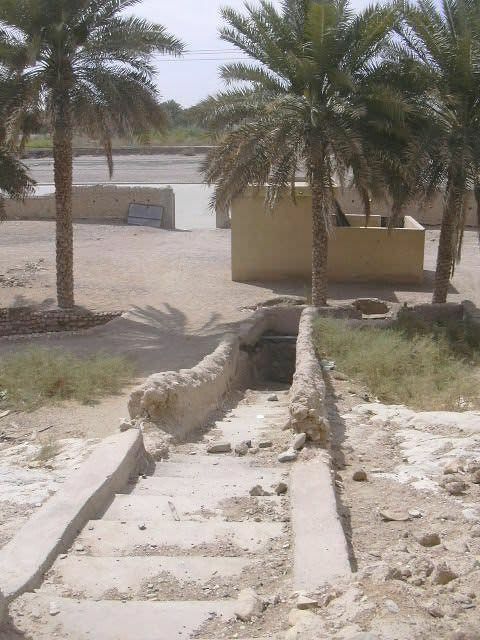 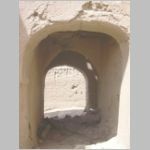 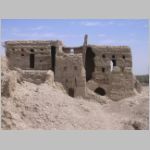 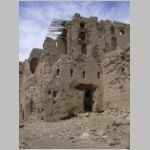 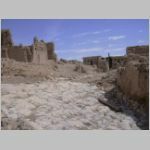 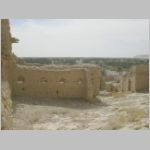 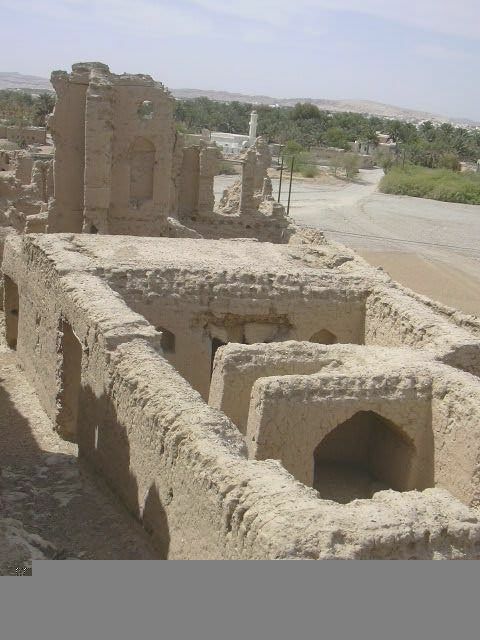 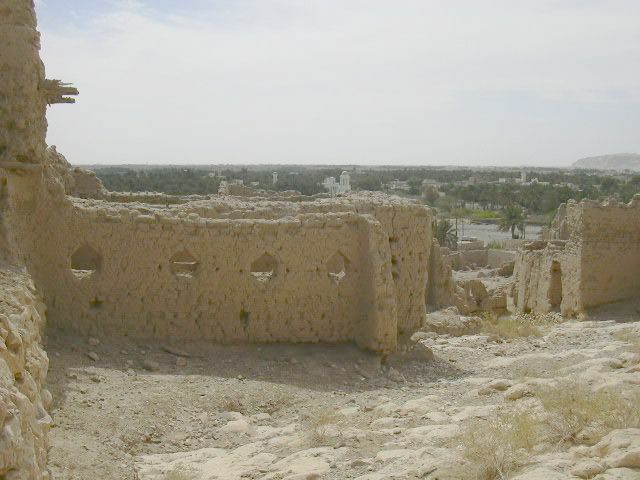 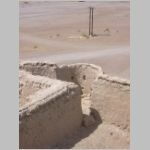 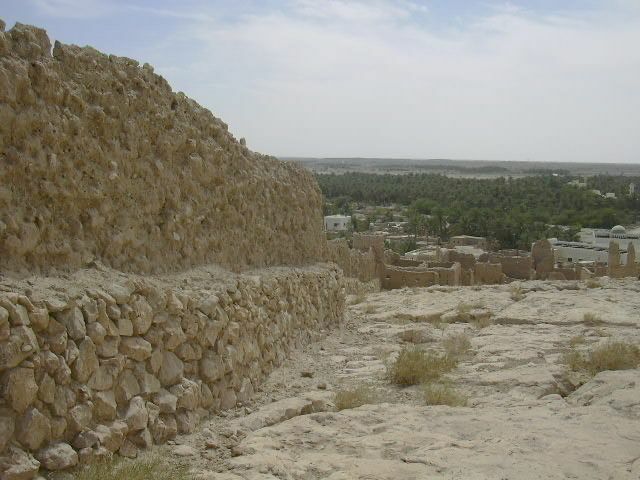 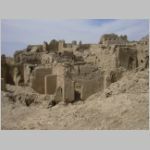 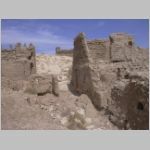 Elsewhere in Ibri, there are a number of mudbrick buildings including a residential area on the opposite side of the wadi while Sulaif appears to have been located close to the best date gardens. 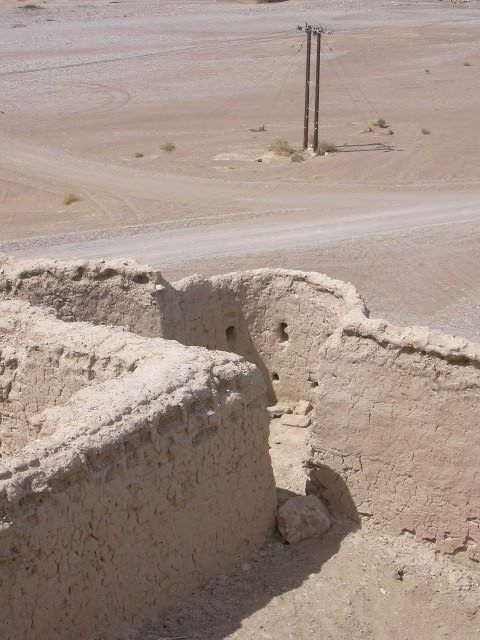 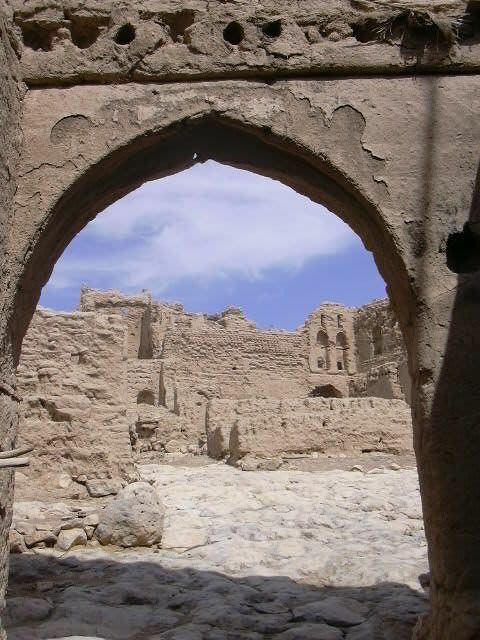 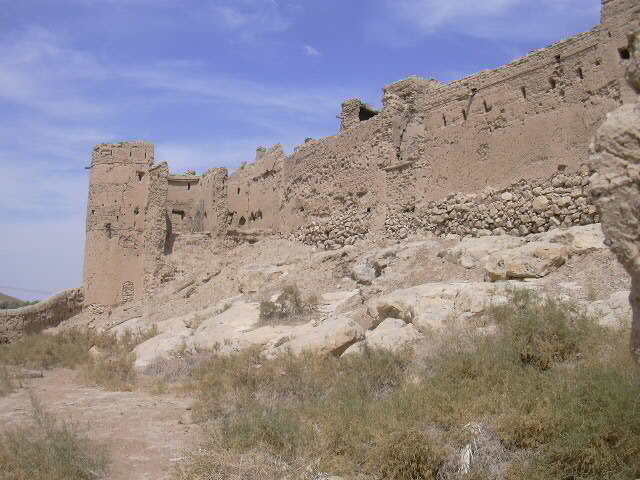 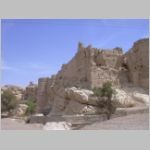 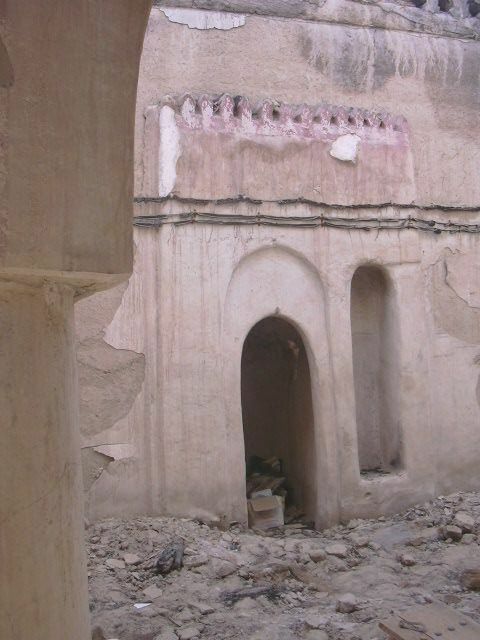 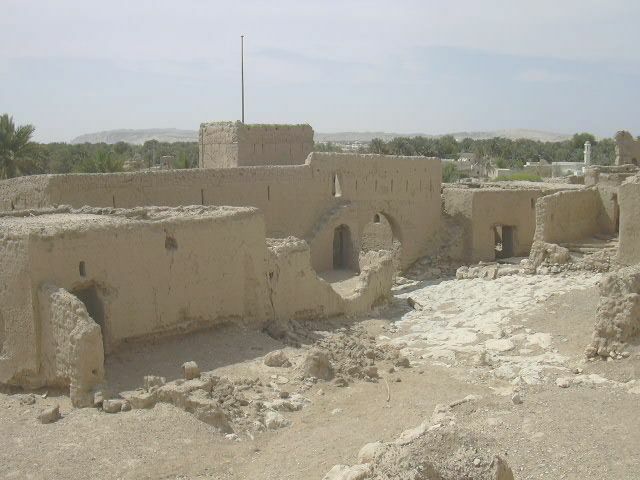 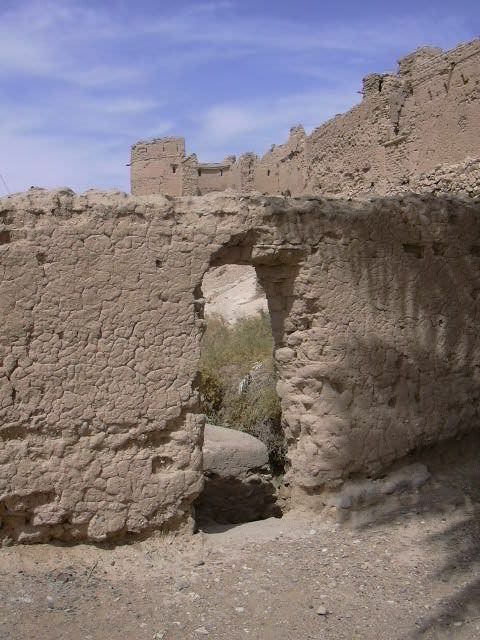 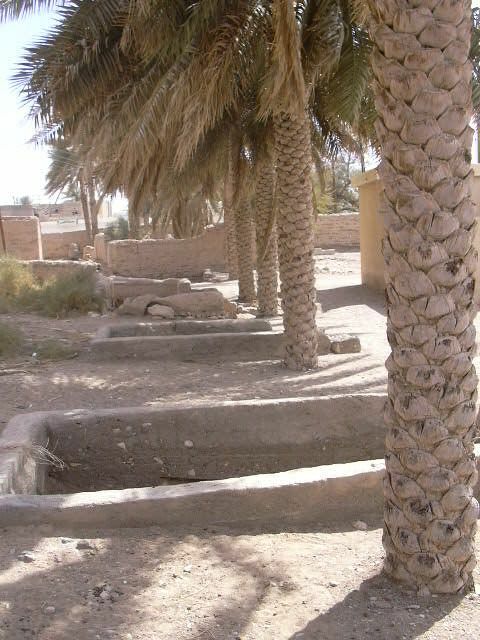 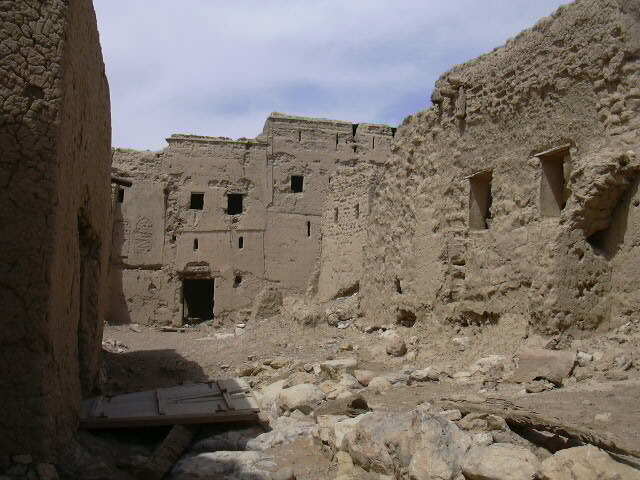 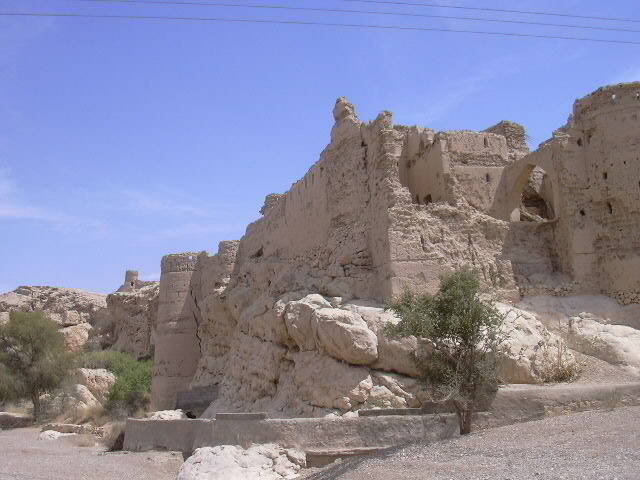 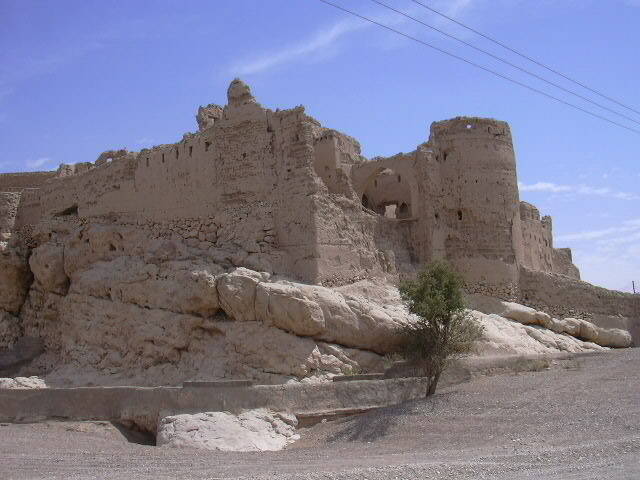 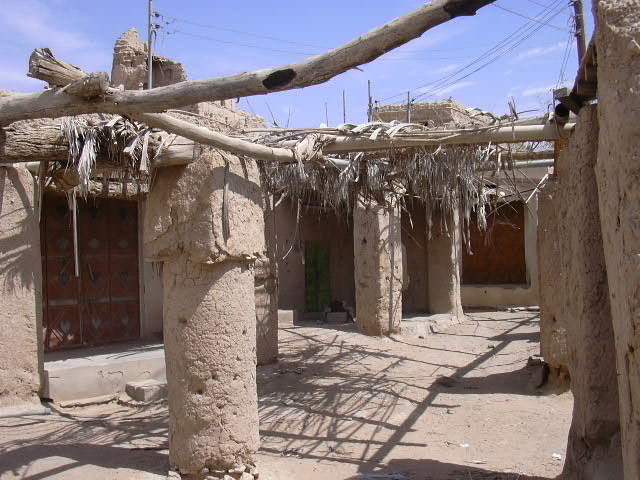 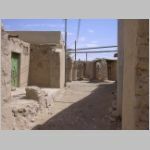 There residential area appears as a walled community, not unlike Manah, Bahla or Nizwa. 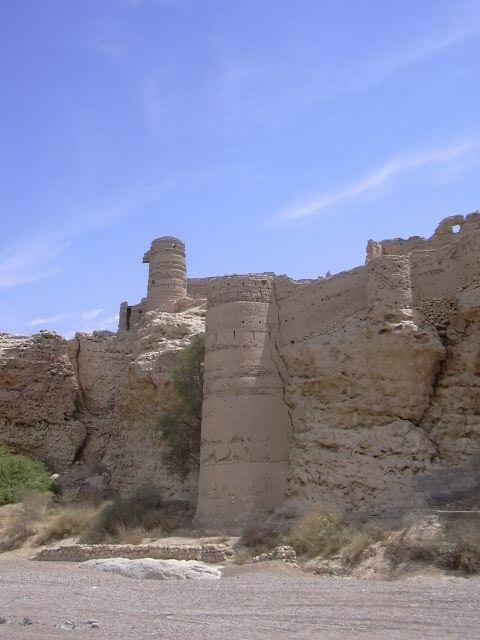 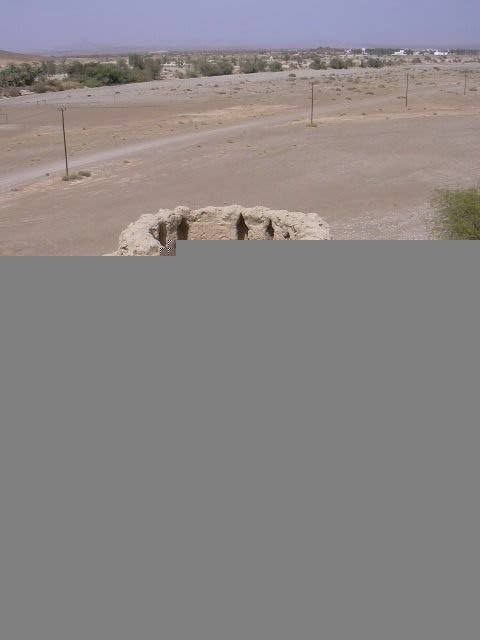 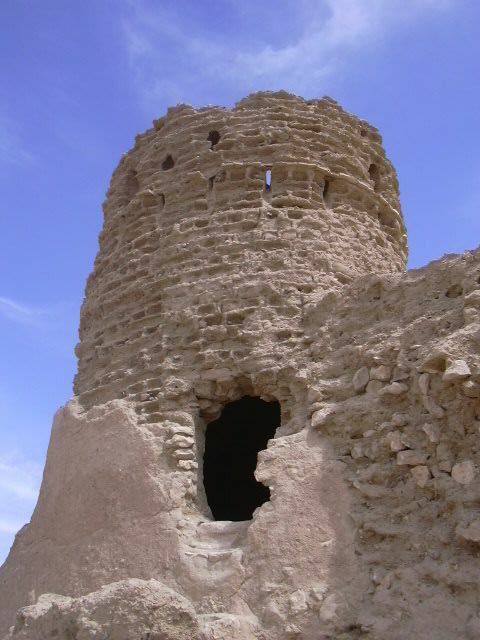 Elsewhere in the city are a number of watchtowers, most of the rectangular style popular in much of Oman and in some locations in the UAE, including Al Ain. 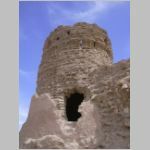 The mudbrick buildings of Sulaif, together with the beehive tombs of nearby Al Ayn, would make an excellent weekend trip for the group. 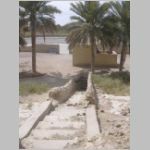 Nick Dekker, who worked on water resources projects in Oman years ago, noticed this page and contributed the amazing photo below of the Sulaif wadi in flood. 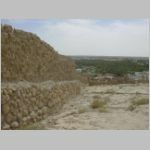 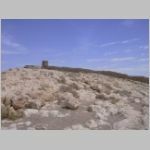 Nick wrote: "In reading your excellent field trip Reports I noticed that you had one under the title Ibri, and the old walled village. 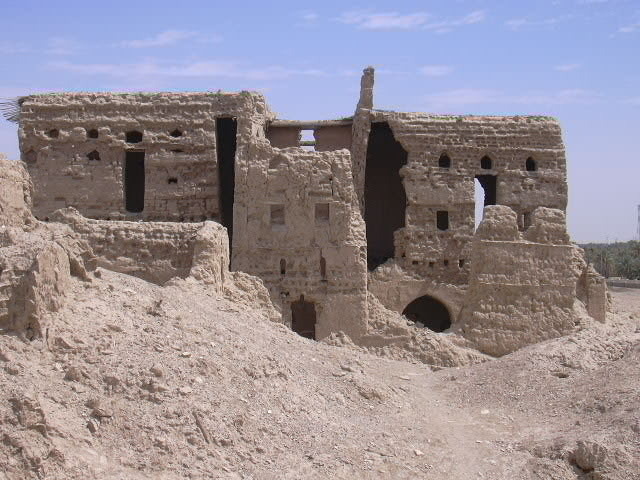 Actually the old mud walled village is called Sulaif. 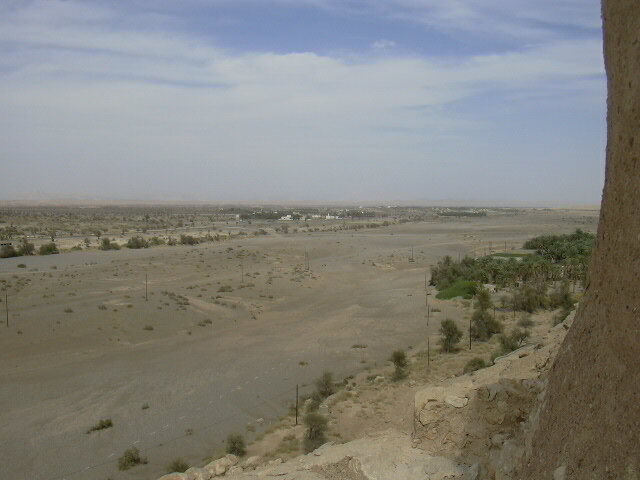 Old Ibri is some distance away. 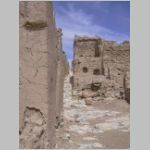 "In Ronald Codrai's book 'Oman: An Arabian Album', there are some excellent old historic photos of farming at Sulaif, one of them showing the village in the background. 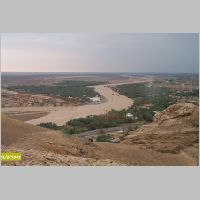 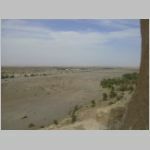 "For your interest I attach a photo of the wadi flooding past Sulaif, taken from the hill where we were building a large water reservoir for the Ibri regional water scheme. 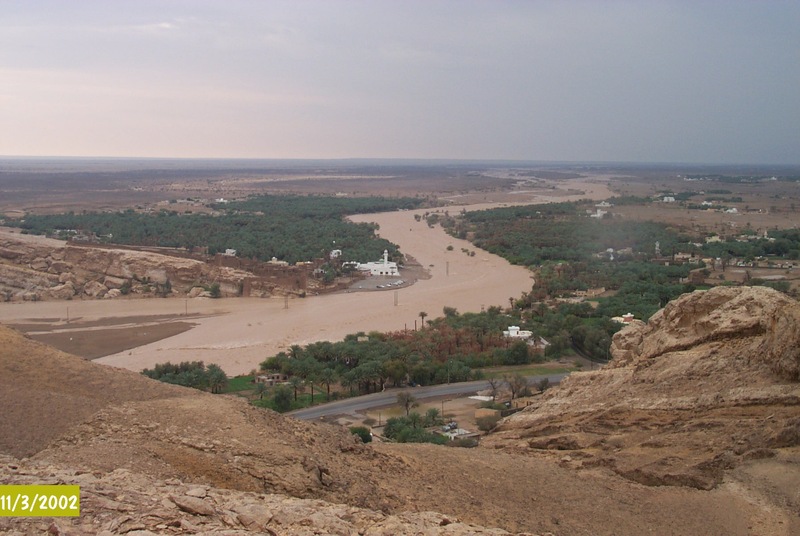 I saw this wadi flooding twice and the water runs for about a further 20 to 30 kms into the desert." 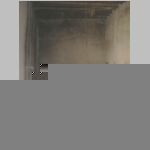 For more on Nick, click here.